Yellowish grass-green to darker olive-green. 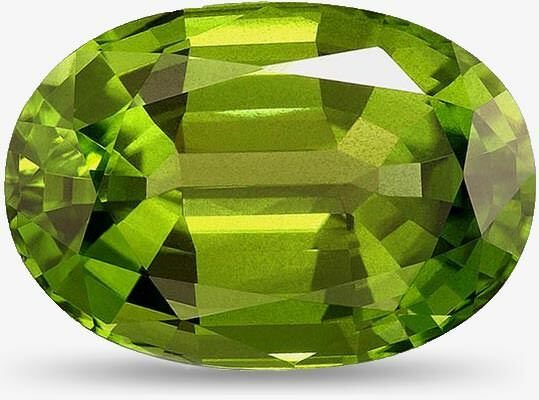 Peridot is formed deeper in the earth’s layers than most other gemstones and is disturbed and brought to the surface by volcanoes or earthquakes. Earrings and pendants keep this softer gemstone out of harm’s way. Take care with rings or bracelets, as peridot can cleave (break along a line in the gem). Mild soap and water, wipe with soft cloth. Ultrasonic and steam cleaning is not recommended.